Slow Computer? Maybe You Have been Hacked - SJC Technology Inc. It seems like every day there is a new story about a company whose computer security has been breached. More and more advice seems to be available on the internet about determining whether your computer has been infiltrated, warning you about the problems that seem to be lurking everywhere. Now, your computer has slowed down to a crawl for no apparent reason and your coworker is telling that you have been hacked. 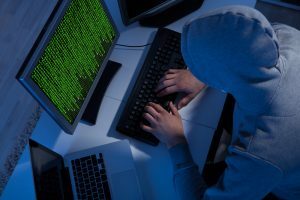 There are many reasons why your computer could be reacting slowly and being hacked is, unfortunately, one of them. So, how do you know if you’ve been hacked or just need to tune-up your computer to enhance its performance? Unable to Login. Especially if you are on your computer, where you know you are using the correct username and password. Frequent Popups. If popups, especially the kind that coax you to visit an unusual website or download software, are drowning you while you work, you need to investigate their source. Lots of Disk Activity. If you are just sitting still and your disk activity light is flashing away, it could be something as benign as your antivirus software running a scan or it could be malware searching your disk for information. Disabled Antivirus Software. If you know that you did not disable your antivirus and now you can’t seem to reengage it, it is probably due to a malware infection that is trying to maintain a hold on your files. Anything Running from Temporary Internet Files. When you launch Task Manager, if you see something running in TEMP and you are not downloading a file at that time, something is very wrong. Unknown Startup Programs. If you can’t identify a program that is pinned to your Windows startup, find out what it is. It may be not be anything bad but you shouldn’t risk it. Frequent Crashes. If your computer is continuously crashing and you are constantly rebooting, you should act immediately to keep from incurring lasting damage. Can’t Shut Down. Be concerned when you have trouble shutting your computer down. If a hacker has remote access to your computer, it will affect your control. If your office is continually plagued by these and other problems, you might want to consider outsourcing your company’s IT services. SJC Technology, Inc. can help you decide whether you need to repair or replace your company’s computer network for the best productivity. The benefits of outsourcing your IT with SJC are many; we will maintain your original network on a regular basis at an affordable monthly rate. This cost includes the monitoring of your old network and resolution of the issues with it. SJC guarantees that if you let us replace your company’s network it will be well worth the expense. Contact SJC today to see the convenient solutions we have for your company’s computer network problems. ← Previous postRepair or Replace? What To Do With My Old Office Network Next post →How Will Cloud Computing Benefit My Southwest Florida Business?